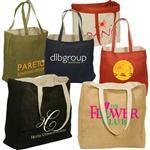 The CUBEEV Tote is a unique promotional bag that has not only the space to carry larger items but also more than a normal shopping tote does. 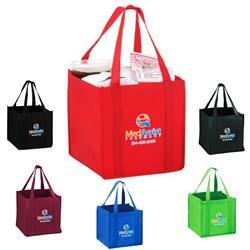 Made rom 80 GSM non-woven polypropylene it has a poly board insert for extra bottom support and the bag features 20" Handles extending to the bottom for added strength. There is also a Growler Divider add-on (Please inquire). 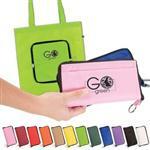 Customize with your logo or design to make a great convention or client give away or even resale in a store. 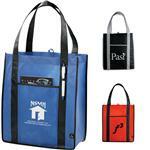 A great promotional shopping tote bag. Production Times Available: 10 working days standard. Inquire for rush.